Such a good timing! I have been seeing more and more people sneezing, tearing, nose-blowing on the street, at my home, and my office, since I saw the spring wind blow a cloud of yellow pollens at the pine trees in my neighborhood. I also have been sneezing and tearing down and also treating my patients, below is the news of this morning at AP, talking about the worst pollen in years, Florida, Texas and Colorado, but Los Angeles is also experiencing the worst pollen and allergy season. ST. PETERSBURG, Fla. – Pollen: It’s on your car, in the air and especially in your sinuses. From Florida to Texas to Colorado, 2010 is shaping up to be a monster of an allergy season. The words “pollen” and “allergy” are among the top 10 trending topics on Twitter in several U.S. cities. 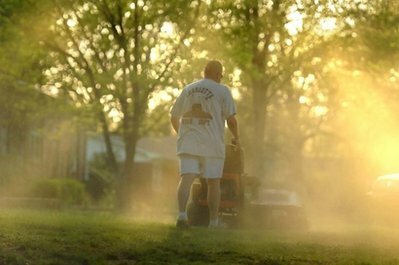 Everywhere, it seems, is covered in a fine yellow dust that irritates our lives. Experts say it’s the worst they’ve seen in years in many areas. And if you continuously have the same symptoms, try acupuncture and/or herbs for that.